Arden is from Natchez, Mississippi, a historic town known for the Spring Pilgrimage tableaux, and massive plantation homes. Her photography project intends to explore her hometown’s complicated history. “I am interested in the version of history the collective town portrays to those visiting as well as to those who have spent their whole lives there. As the nation becomes more sensitive to the racial issues that have long been glazed over, I wonder if Natchez can go on serving sandwiches at ‘Mammy’s Cupboard’ and crowning a queen of the Pilgrimage in full antebellum style with no mention of slavery in sight,” Arden stated in the project overview. 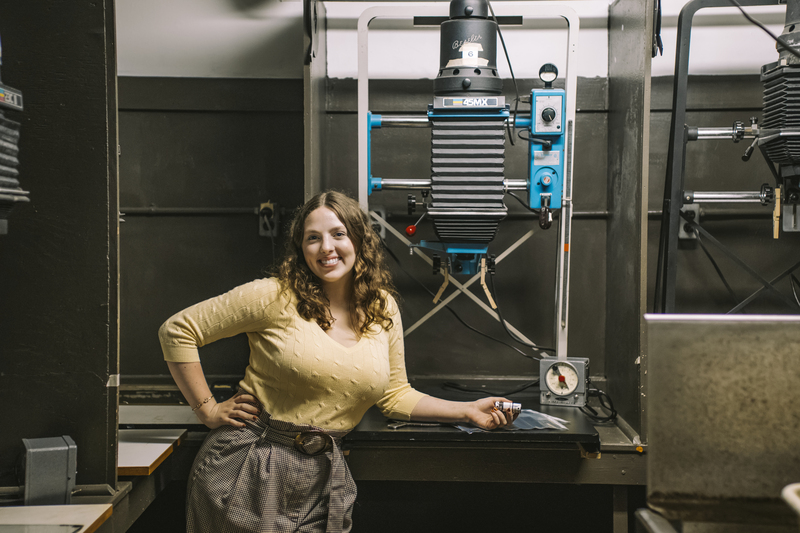 “I’m so pleased that Arden is receiving recognition for this innovative project,” said Kristine Thompson, associate professor of photography and the faculty adviser for the project. Arden will use an analog camera for this series, and plans to shoot both color and black and white film. “I believe the color film will bring out the worn qualities of the town, giving it a visual age and placing it in time,” she said. Her fine art photography so far has dealt with issues surrounding feminism, false realities, and the ways we perform our personas to the world around us. After graduation she hopes to create a career out of photography in the branding and editorial industries. See Arden’s work on her website ardenhale.com.